Navamuni Gumpha located on middle terrace of the Khandagiri Hillock of Orissa. It belongs to 1st century B.C. during the period of Mahameghavahana Chedi dynasty. 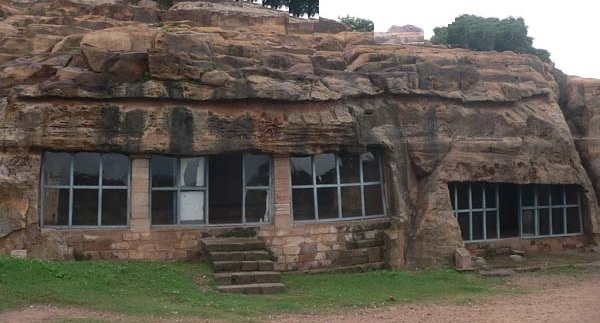 The cave consists of pillared veranda with a single spacious chamber. 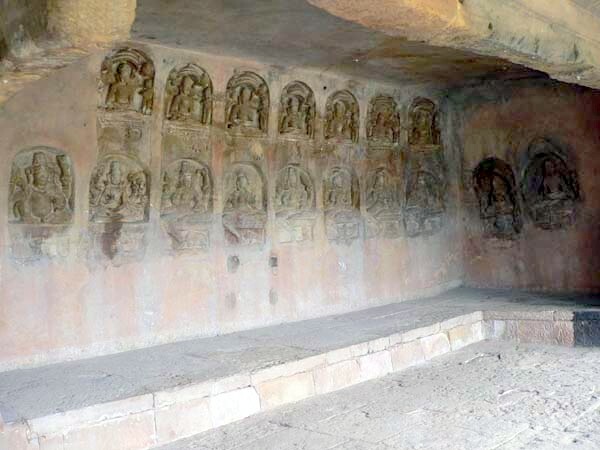 The rock cut cave is known by this name as there are images of nine Tirthankaras in the cave. 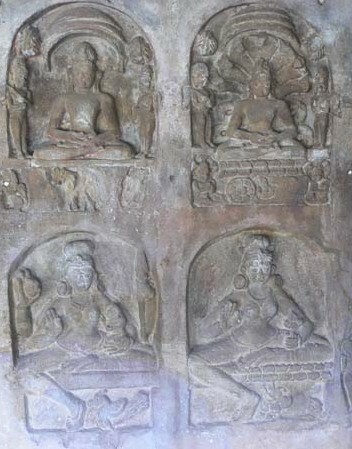 The back wall preserves several sculptures of Sasanadevi with Ganesha and the 9 Jaina Tirthankaras. Glad you explained the different photos. Excellent historical but religious photos. I anxiously await your photos weekly to see where you have visited. Whenever you post the pictures of Khandagiri.. I miss that.. Actually when I went to Bhubneswar I went Udaygiri.. but I skipped Khandagiri, due to time constraints.. I think I have to go back there to see Khandagiri..
Those glassed windows must be a later addition. Another amazing place, Rajesh! And great captures as always!! Hope you have a wonderful weekend!! This is an amazing place - I could never have imagined it! Fantastic, an incredible place to visit! It belongs to 1st century B.C. during the period of Mahameghavahana Chedi dynasty. It is amazing to see so old cave in better condition. Awesome shots. These type of architectural works always make surprised thinking about their knowledge in arts, their hard work and creativity. Great piece of history. Nice shot. These sculptures seem to be of a different kind. They seem to be neatly arranged on the cave walls. And the first pic is interesting - a mix of ancient and modern.